1 year of use after opening the seal. Wash your hands thoroughly before handling and wipe with a clean non-fibrous towel. Handle the lenses in a clean place. Rinse with lens solution. Be sure to check the direction of the lens before engaging it: the lens must form a perfect half-sphere, if the edges are curved, replace it on the spot. 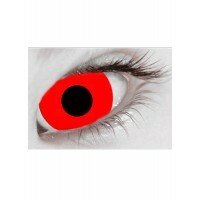 Always check that your model can wear lenses. 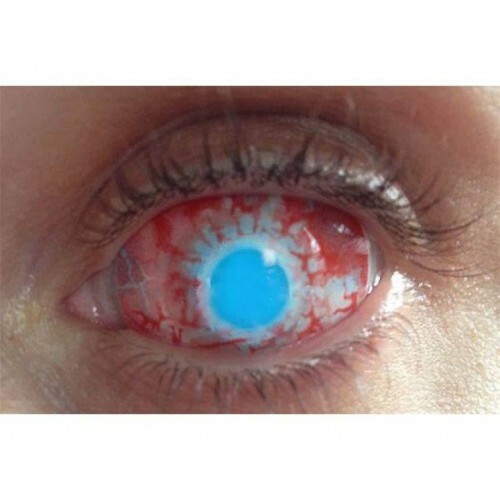 If the packaging of your lenses is damaged, as well as the lens, do not use. Clean with a suitable solution between two uses. 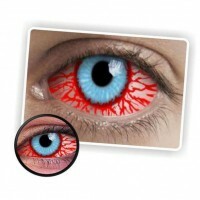 LENSES "RED SCLERA" 22 mm - 1 year of use. 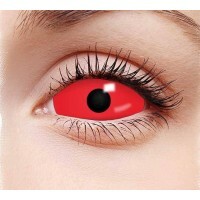 Wash your hands thoroughly before handling and wipe..
ColourVUE Sclera Crazy contact lenses are perfect for wearing at Parties, Halloween, Raves or Night..
1 year of use after opening the seal.Wash your hands thoroughly before handling and wipe with a clea..